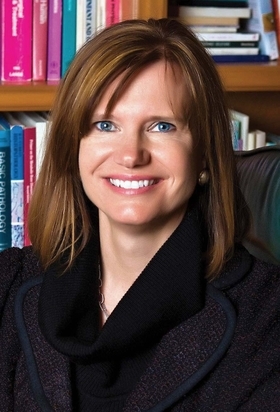 Dr. Catherine H. MacLean is chief value medical officer at Hospital for Special Surgery in New York City. It's widely recognized that the U.S. pays more for healthcare than other developed nations, yet achieves comparatively worse health outcomes, leading for calls to lower costs to improve value. But what if we increased quality at the same cost? Wouldn't value increase? “Value-based care” means we consider healthcare cost directly in the context of the quality (or health outcomes) the care produces. Without question, opportunities exist to reduce U.S. healthcare costs by eliminating unsafe, unnecessary or duplicative care, and we must work aggressively to eliminate such care. This improves value by reducing cost and improving quality. At the same time, opportunities exist to improve quality that may not produce cost savings. Beyond preventive care, avoidance of complications and readmissions, little evidence suggests higher quality always leads to lower costs. A comprehensive report commissioned by the Health Foundation asked, “Does improving quality save money?” It concluded, after reviewing 264 studies, that we mostly don't know because research is limited. A more recent systematic review of 61 studies found inconsistent associations between quality and cost. To realize high-value care, we must understand both the quality and the cost of the care we produce. Only then can we discern value and make informed decisions about how we want to spend our healthcare dollars. In hospitals, which account for most healthcare spending, value can be elusive. This is because we don't measure the quality of many hospital-based services. How can we know if care costs too much if we don't understand its quality? When thinking about quality, there are three imperatives: avoiding complications, improving health and achieving patient goals. We also need to consider patient satisfaction, a construct that, while important, is distinct from, and not well-correlated with technical quality. Patients can be satisfied or dissatisfied with a hospital stay for reasons wholly unrelated to the care they receive. To date, the “quality” component of hospital quality and value programs has focused largely on complications and patient satisfaction, mainly because these data are available, and the fewer complications, the lower the cost of care. We must also know whether the care we deliver is improving health outcomes and achieving patients' goals. After all, patients don't go to a hospital to avoid complications—they go to get better or to control chronic conditions. When that's not possible, they go to alleviate pain and seek comfort. We need to ensure that we measure whether healthcare achieves these outcomes when considering its value. Value-based payment models that focus primarily on cost—implementing insufficient or inadequate quality measures—may have unintended consequences, such as increased complications and attenuated health improvements. Without meaningful safeguards against shortcuts, health outcomes will suffer, because such models become cost-cutting schemes promoting a “race to the bottom” for cost savings, at the expense of positive health outcomes. To achieve the transparency on outcomes needed to assess value, we must define the outcome measures that our delivery system needs and then routinely measure and report them. This requires a concerted and coordinated effort by clinicians, informed by patients, to define important health outcomes; policymakers to fashion those concepts into measures; and delivery systems to devise ways to efficiently and reliably collect data. Such work is in its infancy, with uneven progress across health conditions and regions. For 20 years, Hospital for Special Surgery has maintained over 40 musculoskeletal research registries across more than 100,000 patients, and found that routinely collecting patient-reported outcome measures across large numbers of patients is feasible, but labor-intensive. To improve efficiency, our researchers developed two shortened patient-reported outcome tools for hip and knee replacements, which Medicare adopted for its Comprehensive Joint Replacement program. I am optimistic that with increased measurement of meaningful healthcare quality indicators, promoted by value-based purchasing programs, and facilitated by information technology, we will improve the health of our population and realize high value for the money spent. With that said, I think the jury is still out on whether this means we will spend less money.